Barry Egener, MD, is Medical Director of The Foundation for Medical Excellence in Portland, Oregon, and a practicing internist in the Legacy Health system. He is the lead author on the two publications on organizational professionalism. “The recent Roundtable on Professionalism got me thinking about how the concept of organizational professionalism was born. In his presentation at the meeting, Richard Frankel described Kuhn’s argument that paradigm shifts occur either by accretion, that is slow additions of ideas until some breakthrough occurs, or revolutionary change, which is much more unusual. I think the concept of organizational professionalism was born through accretion. I was interested in professionalism from a very personal point of view because I was responsible for coaching individual doctors who had unprofessional behavior. When I was at ABIM [Dr. Egener served on the ABIM Board of Directors from 2006–2010], I was on the professionalism standing committee, which was responsible for policies around professionalism. There’s a particular conversation I remember that was very exciting and I think was the very beginning of this idea. Shiphra Ginsburg had written previously about how important context is to the expression of professional behaviors. As those of us on the committee were talking about that we realized that organizations have a lot of responsibility for creating a culture in which professionalism can thrive. I don’t think anybody in that room had the specific idea that led to the paper [A Behavioral and Systems View of Professionalism by Cara Lesser et al., published in JAMA in 2010], it just came through the conversation. We knew something had happened, it was really an exciting moment but nobody owned the idea. It was a very interesting phenomenon where people are having the conversation and the idea is really owned by the conversation. The paper includes a table on a framework for conceptualizing professionalism and it talks about organizational behaviors. That was a key breakthrough. I kept on thinking about that and when I came back to Portland, I went to a conference at the Foundation for Medical Excellence on professionalism where Walt McDonald gave a talk on this organizational perspective. He was the first to ask the question, ‘What is the professionalism competency for organizations?’ I went up to him afterwards and we started talking about it and that’s when we said, “Let’s write a paper on this concept.” That’s what led to the 2012 Academic Medicine article that we wrote [Organizational Professionalism: Relevant Competencies and Behaviors], which is where I think the term ‘organizational professionalism’ was born. This is a very new concept. I realized it at this past 2017 Roundtable meeting. We know a lot about individual professionalism. We don’t know how to necessarily make it happen for every individual but we know a lot about it. We have different models for it, whether it’s identity formation or behavioral or intrinsic values, and we have techniques for helping people along but we don’t know much at all about organizational professionalism. We have a model that is provided by the Charter but we don’t know how to implement it. We haven’t done the experiments yet that tell us the best ways to help organizations promote professionalism. Given that organizations can vary in size, etc., there is no specific roadmap for implementation. Standard research would be randomized controlled trials but how do you do that when organizations are so different? One idea I had was to create a coalition of organizations for research in professionalism. 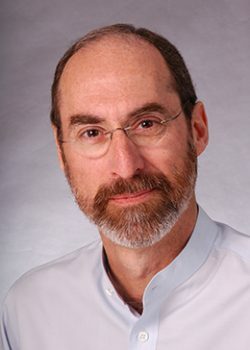 Could we get a number of large organizations like Kaiser and Geisinger and Mayo, and maybe even other organizations that aren’t health care providers—like the AMA—to create some kind of research coalition that could design the kind of studies that would answer the question of how to promote organizational professionalism? Although the organizations might be different from each other, that could also provide some generalizability to the research because we would want the results to be broadly applicable. So might some kind of research collaborative conduct research to discover pathways for the implementation of organizational professionalism? I guess the reason for a coalition is that I don’t think the government is going to provide money for that. I don’t think that’s going to come from regulation and I don’t think it can come from the individuals. Organizations will hopefully realize that promoting professionalism is in their best interest from a financial standpoint, so we have to make a business case for organizational professionalism. There’s a huge cost to organizations for unprofessionalism, for physicians leaving because they’re burnt-out or nurses leaving because physicians yell at them. Unfortunately I don’t think we can depend on ‘doing the right thing’ as the sole motivator. Organizations are affected by three forces: regulation, the market and professionalism. How much more potent would it be if you could align two of them, if you could align professionalism and the market together? It would be even better if we could align all three of them but I’m not sure that will be the case. I don’t necessarily think it detracts from professionalism to say that it’s aligned with financial best interests. I think that just makes it more potent.